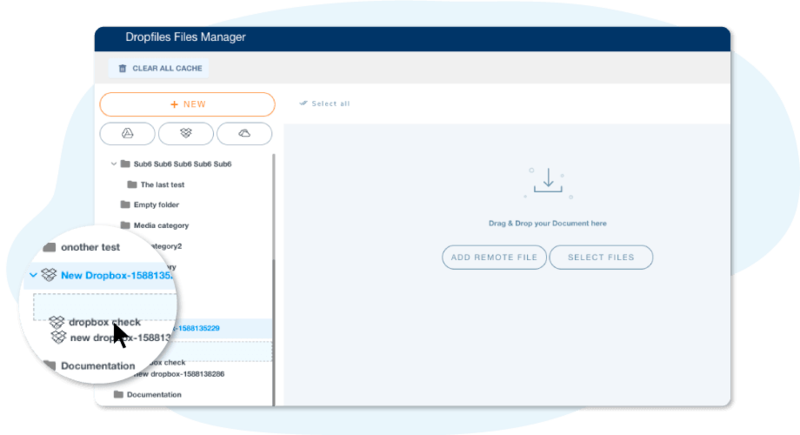 The Dropfiles Dropbox feature is the possibility to connect and synchronize the Joomla file manager with the cloud services offered by Dropbox. Dropbox connection offers a two-way synchronization for all your files. What's more, Dropfiles offers a full Google Drive integration as well! 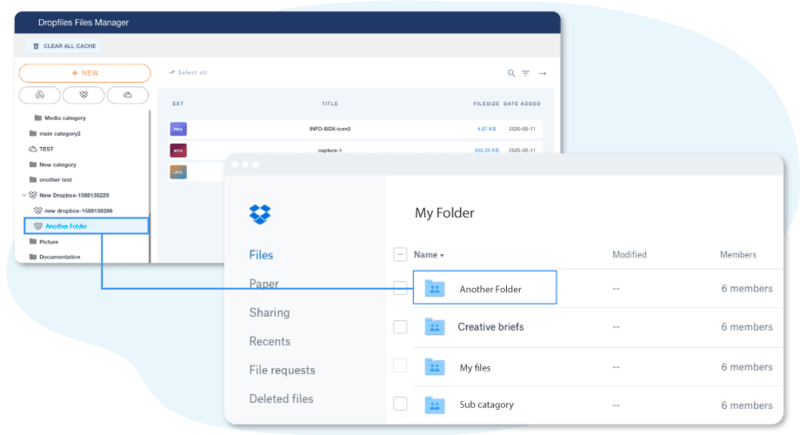 Once you've connected the extension with Dropbox you'll be able to manage files in your Dropbox and automatically have them synchronized on your Joomla website. 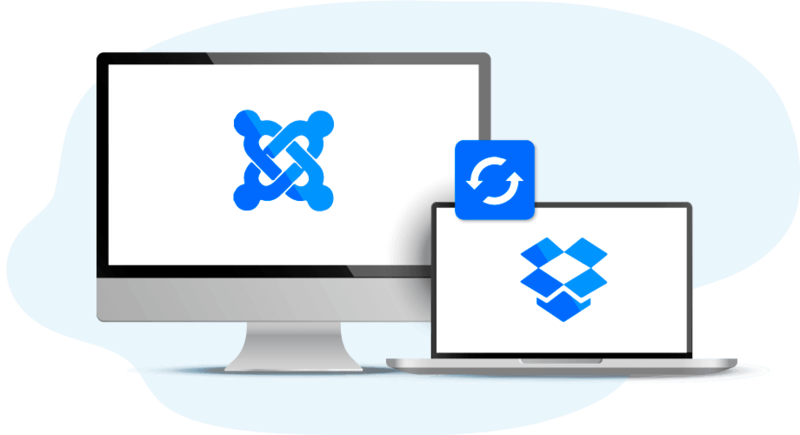 By extension you can even use the Dropbox's desktop software with your file browser to add/remove/manage your Joomla files. Each category of files in Dropfiles is represented by a folder in Dropbox and a root folder with the name of the website that is connected. It also means that you can have both your local server files and Dropbox ones stored without any problems! 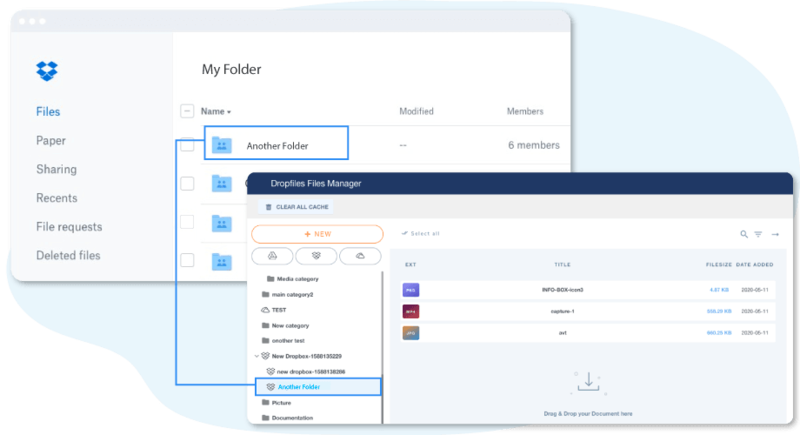 The synchronization works both ways, which means that you can upload files in Dropfiles (our Joomla extension) and then access and manage these files from Dropbox. This is perfect if you're looking to sync a large amount of files or to give a client access to a file category without giving access to Joomla administration panel. What elements are synchronized by Dropfiles? How does the connection works? 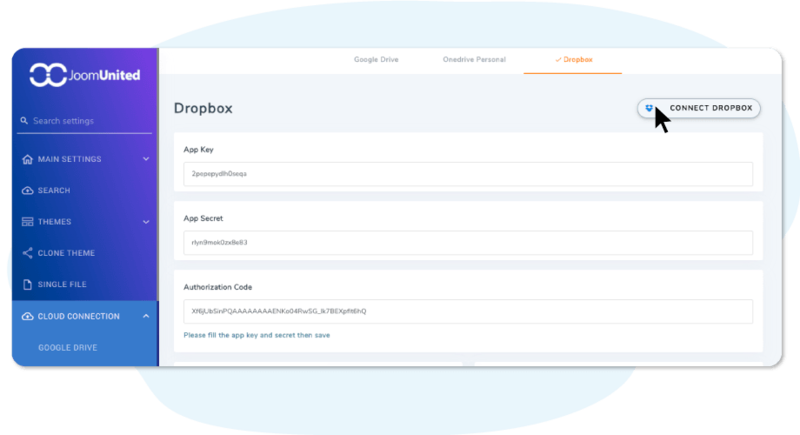 Don't worry, you don't need have to be a developer to ensure the connection works :) All you have to do is create a Dropbox App (free of charge) to get an ID and password then login to your Dropbox account from the plugin. There are several sync methods that fit different server requirements, such as AJAX sync, Curl or Cron tasks optionally available from Dropfiles configuration. You can also setup a sync delay or force the sync manually by clicking on a dedicated button. Finally there's also the online documentation and our support team is available to help you with all your needs.